During the summer, the weather is warm, hens walk freely, and gardens are filled with colour. Black and white chickens are very appealing. 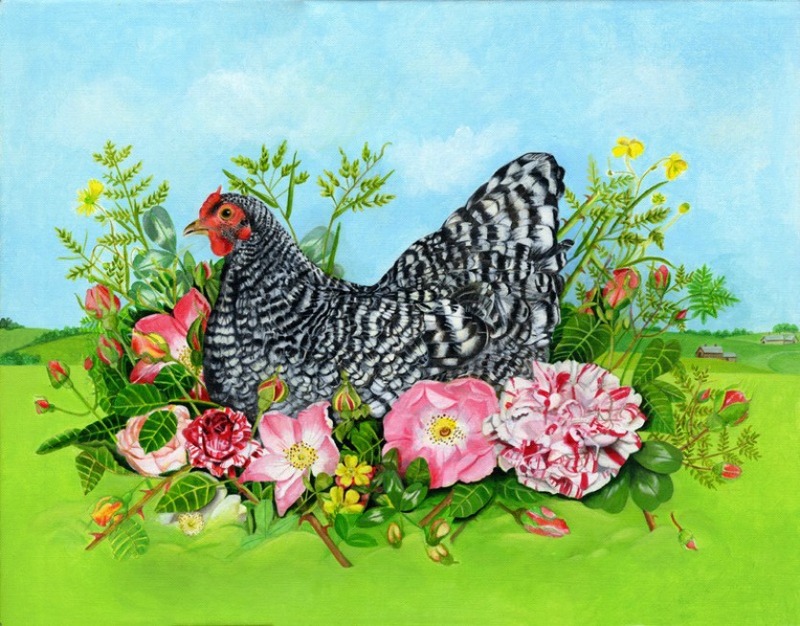 I thought why not put this unusual chicken in a bed of roses, which evokes beauty and celebration for all occasions. Each canvas continues around the corners with images linked to the painting. Frames are not required.